Social Media Marketing Services for Improved……. Brand Loyalty & Brand Love. 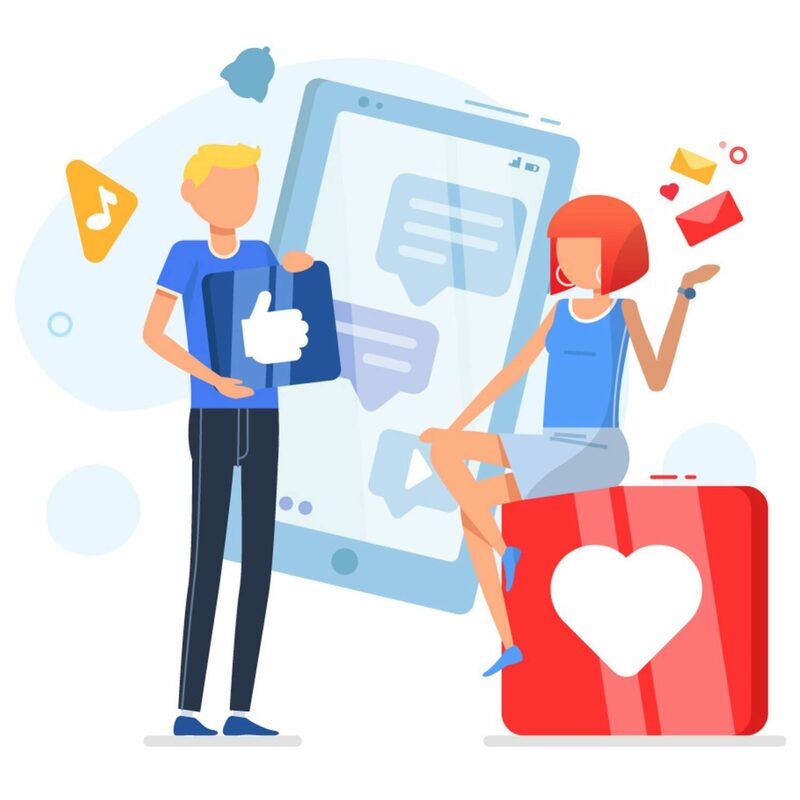 Consumers spend a lot of time on social media platforms to connect not only with family & friends but also with brands. Connect with your consumers emotionally and build brand love before your competition does with one of the biggest social media marketing companies in India. Take advantage of our Social Media Marketing Services in Delhi, Mumbai, Gurgaon, Pune, Bangalore, Newyork and Toronto. Build your presence on multiple social platforms such as Instagram, Facebook, Twitter, Pinterest, Linkedin and many more. The single minded objective behind our Social Media Marketing Services is to put your brand in the social conversations happening between your prospective consumers so that you can take full advantage of it naturally and build your brand & business. Our Social Media Marketing Services Team starts by auditing your competition & industry, identifying your customers needs. The information collected coupled with your Brand Positioning helps us define your social media marketing strategy. What makes BrandLoom one of the best Social Media Marketing Company in Gurgaon & other cities of India, USA & Canada? Take advantage of our expertise. Our social strategy is built on consumer insights, competitive analysis and emcompasses your Brand values to help you communicate your Brand Story. Our Social Media Marketing Consultants helps you connect with your customers naturally. 100+ Years of Business Experience at the Leadership level. Social Media Marketing Strategy Built on Consumer Insights. Social Media Content, driven by Brand & Business strategy. Experienced team with knowledge of social media trends. Full-service digital marketing firm to manage needs of the digital age. We offer customisable Social Media Marketing Services to meet your brands objective. Our social media team will help you build your Brand franchise on leading social media channels through various methods. While optimizing your Social Media, we will use a number of social media tools and communities to generate publicity to increase the awareness of your product, brand or event. The single-minded objective will be to maximise ROI of your content by sharing it across social media and networking sites. Social Media Audit: Our Social Media experts will begin with an in-depth analysis of your brand’s presence across the social networks. Competitive analysis: Competition is a great reference point and helps you do better. 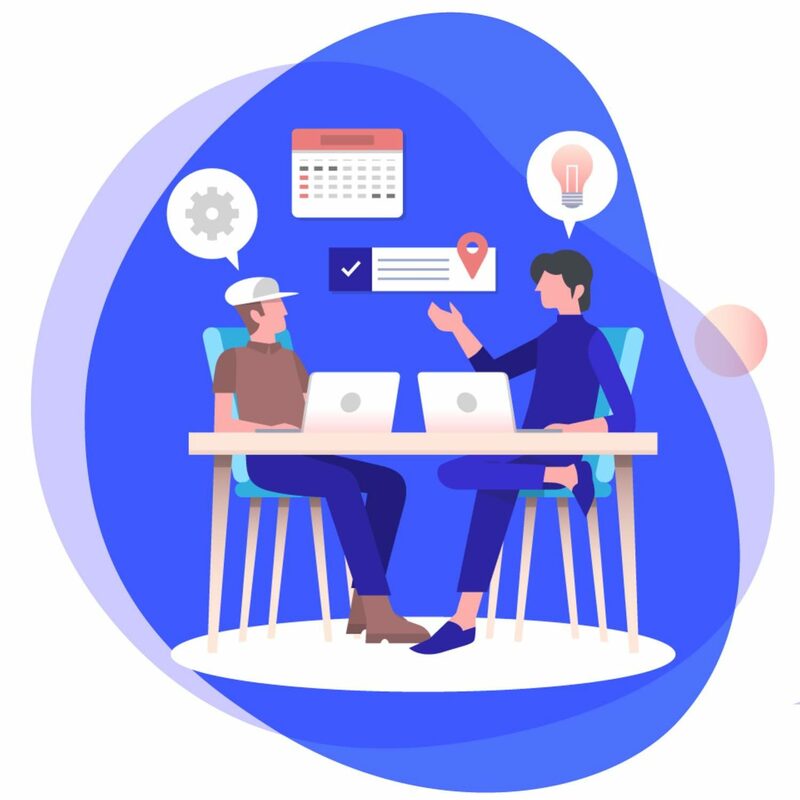 Our social experts will list down your crucial competitor’s basis their activity in the search networks and will identify how they are reaching out to consumers. Social Media Activation: We will identify the most appropriate social networks where you should be participating and where people could be talking about you. We will create and operate your social media profiles to attract visitors and leverage the two-way conversations. Social Media Monitoring: Consumers are spending quite some time online. They are continually talking about their needs, wants, demands and experiences with businesses. Our Social Media Monitoring services let you listen to this invaluable information, interact with customers to keep your reputation spotless and stay ahead of your competition. 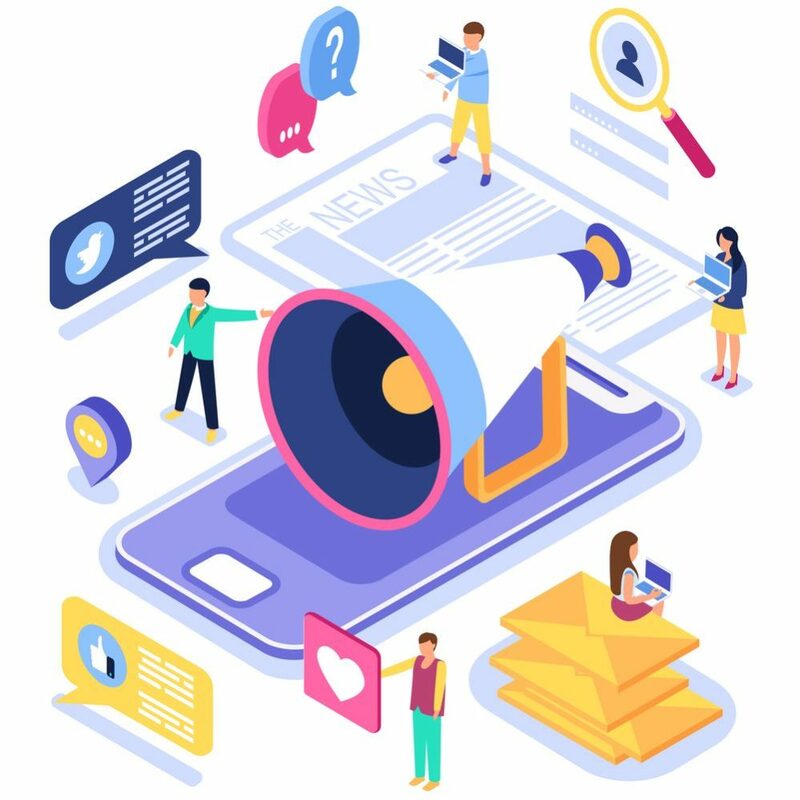 Social Influencer Management: We will build engagements with leading bloggers, journalists and influencers to help you connect with your prospective consumers. Social Media Marketing Services for startups and solo entrepreneurs, who want to change the world. We provide everything that you need to take your business idea live & turn it into a profitable and growing online business! Why BrandLoom as your Social Media Agency? 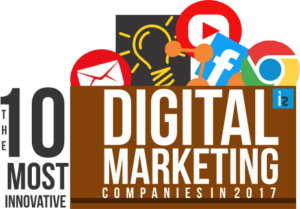 BrandLoom offers you a number of services related to digital marketing. Remember- social media marketing is just a part of a comprehensive marketing strategy. We take into account everything- from web designs to content creation- and ensure that your brand gets seen by your potential customers and engages positively with them. We conduct social media campaigns across many platforms. Our methods are safe and ethical. You can see the results for yourself. We will help you design a social media strategy best suited to your needs, and help you execute it on a day-to-day basis. BrandLoom can not only help you reach the customer, but also educate them on your brand. We make them aware of your presence, and engage with them in such a way that they are encouraged to try your services out for themselves. With time, you will have a loyal customer base. It is well known that customers love to talk about their experiences on social media. So, it is of paramount importance that you maintain a good reputation online. Our team is skilled in social media management. We make sure that your brand becomes known for providing superior customer service. We can also help you integrate feedback. If you can satisfy your customers, chances are they will recommend your services to their circle of influence. This way, you can expand your base and get more customers. Remember, it is not enough to build a reputation online, you also have to maintain it. BrandLoom presents your brand in the best possible light and find your own marketing niche. This way, you can communicate your brand values and build up your brand equity. We are a young market branding and a leading digital marketing company. Headquartered in Delhi-NCR, India, BrandLoom offers you all the services you need at affordable rates. 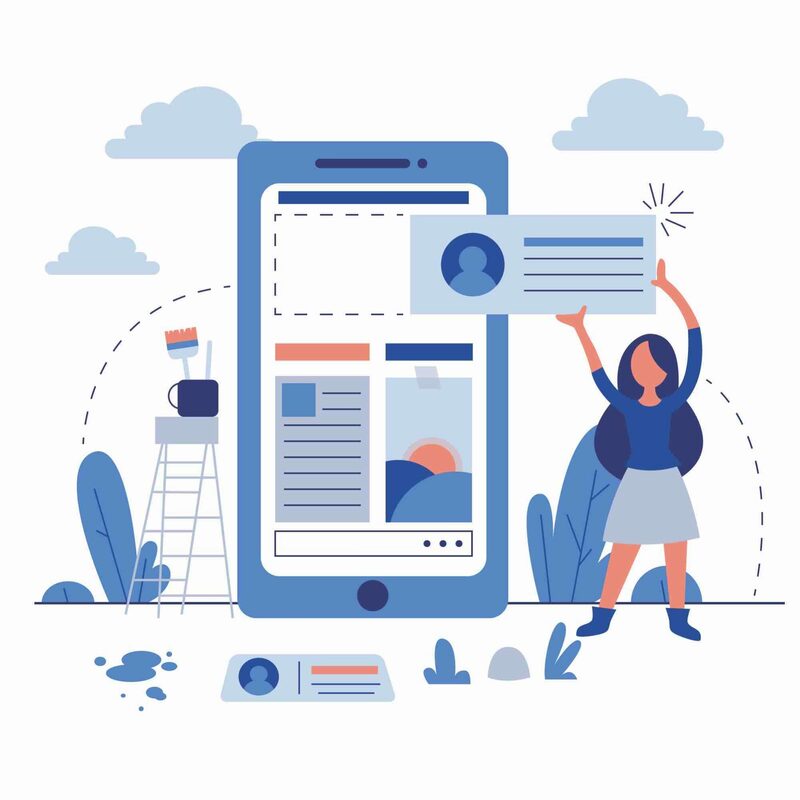 With the help of our dedicated team, we make sure that you have a solid online reputation and that your brand stays relevant and prominent in the increasingly chaotic digital world. BrandLoom offers comprehensive, integrated solutions that will help you generate more clicks and sales. Our methods are safe, ethical, and effective. BrandLoom can help you with pre-launch marketing. Start ups are welcome to test our services. We do not engage in unethical, black hat tactics, so be assured that you will not become a social pariah. Based on your needs, BrandLoom can also help you improve your standing in the local market. We do not engage in cheap tricks and help you build your brand for the long term. Our team has worked with several leading Indian and international organizations like IBM, Infosys, Satyam, Panasonic, INVISTA LYCRA(R), Tech Mahindra, Philips, Coats, and many more. Our expertise and knowledge of digital marketing traits and trends help us serve you better. We aspire to serve brands from all sectors, including Education, Fashion & Apparel, FMCG, Consumer Durable, Technology, Retail and Infrastructure. At the heart of your brand’s social media presence is social media strategy. This is the first step in making your brand social- you must figure out how to best engage with your audience, and in the process, how to achieve your own revenue and marketing goals. Good social media marketing strategies can only come from a social strategy agency that has its finger on the pulse of the market, and that which understands what the consumers want from a particular brand. 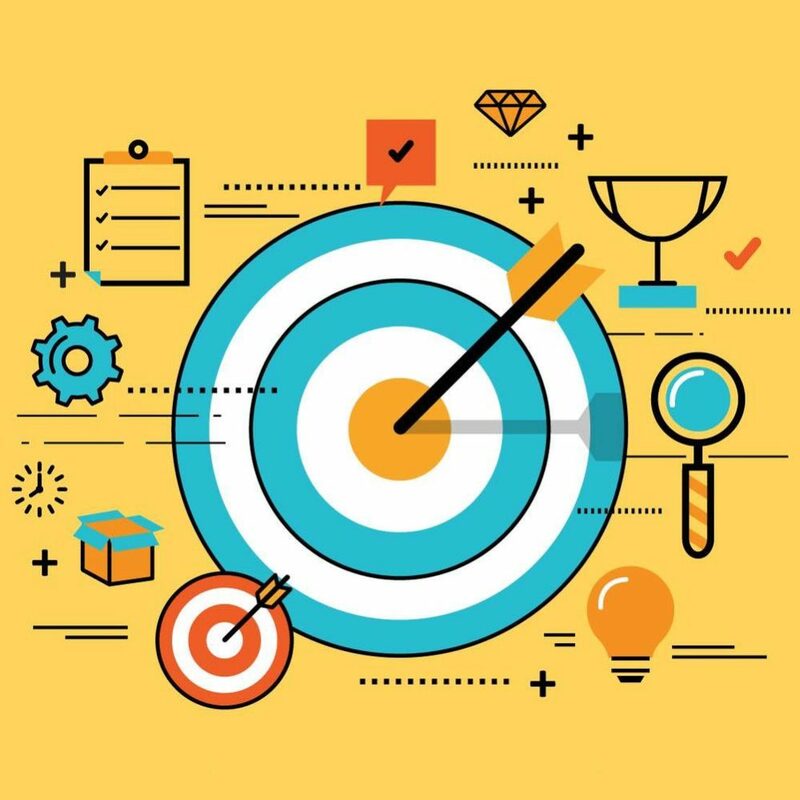 If you want to create a market niche, you must have a clear and social media strategy laid out, which will help you generate leads and revenue, and cement your position as a unique, reputable and profitable brand in the long run. BrandLoom can help you design a social media marketing strategy that helps you achieve your long term digital marketing goals. We establish your brand in a way so that it appears fresh, relevant and customer-oriented. We make sure that it syncs with your overall branding strategy, and lay out a blueprint for you to build up your brand equity via ethical means. Our team has build social media strategy for financial services, automotive brands, consumer good companies and healthcare brands. Social media optimisation is driven by unique, engaging, inspiring content such as Video, Image, GIF and Infographic. From viral videos to eye catching images and immersive infographics- you need every type of content to grab eyeballs and keep your audience captivated. After all, a picture (or a gif) is worth a thousand words. 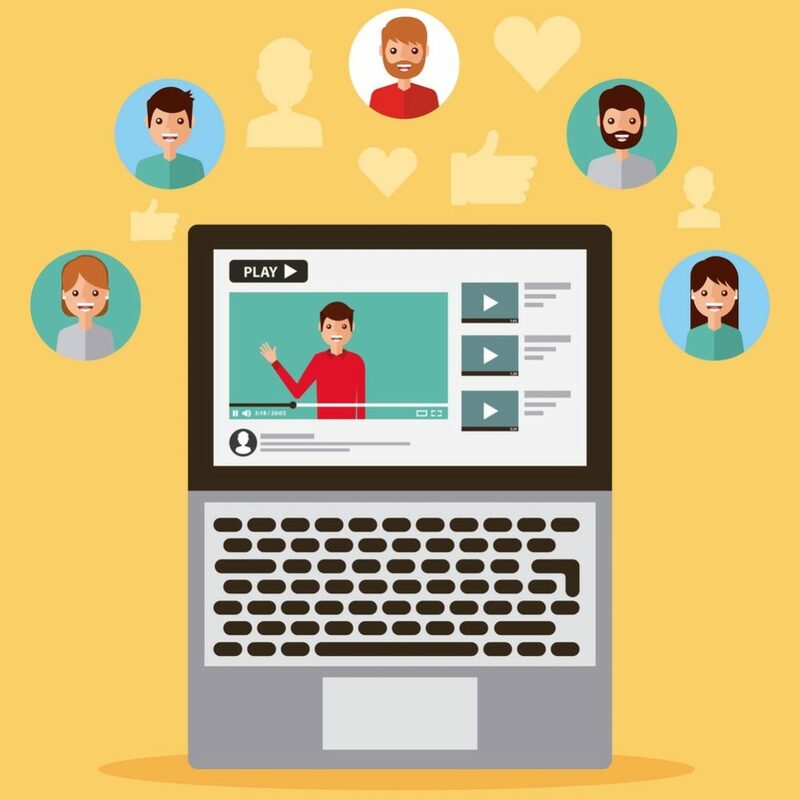 Studies show that customers today prefer variety, and are more likely to tune into short videos and pictures than read through a wall of texts. Creating good media content for social media channels should be an important part of your social media marketing strategy. At BrandLoom, we understand what makes your brand look fresh and relevant, and we excel at creating content that hooks on your target audience. Our team have years of experience in content and web designing, and what we create not only engages your current audience, but also attracts new customers. From designing graphics to shooting interesting videos, we give you social content that is suited for various channels- including Facebook, Twitter, Instagram and Youtube. Promotions are essential to growing your business. But how do you go about it? Growth marketing is primarily attracting more engaged customers. An excellent way to achieve that is social promotions. Remember, for your brand to survive; you must not only find new, younger customers but find customers who will stick around. To retain them, your social media promotion strategy must be on point and realistic, so that you become a consumer favourite without sacrificing your bottom line. BrandLoom helps you design promotional offers and campaigns that are smart, engaging and ethical. Our team helps you get more visitors to your social media accounts with the help of good promotions, and translate that into more lead generation for your website. The end goal here is to increase volumes and meet revenue benchmarks. However, we make sure that the promotions you do tie into overall branding and marketing strategy so that they not only meet short-term revenue goals but also help build up your brand equity. There’s a difference between social media management and community management. Social media managers act like the brand themselves, and are acting on the frontlines. But a good social media marketing company should also look at community management, which is promoting a brand on its behalf in relevant groups and online communities. More often, it is the community managers who are driving the metrics that actually matter. With BrandLoom, you can do effective community management for your brand. Our community management services ensure addition to your customer base and lead generation, and pushing driving up social engagement levels. It is not enough to have an active social media profile, but to have a profile in spaces and customer hubs where it matters. We introduce customers to your brand, and convince them of your relevance with our community management operations. Our methods are ethical and transparent, and proven to yield positive results. Buyers today are increasingly social. Multiple studies show that social media users talk about the products and services they use in their circle of influence, and they influence the decision of their peers and friends. 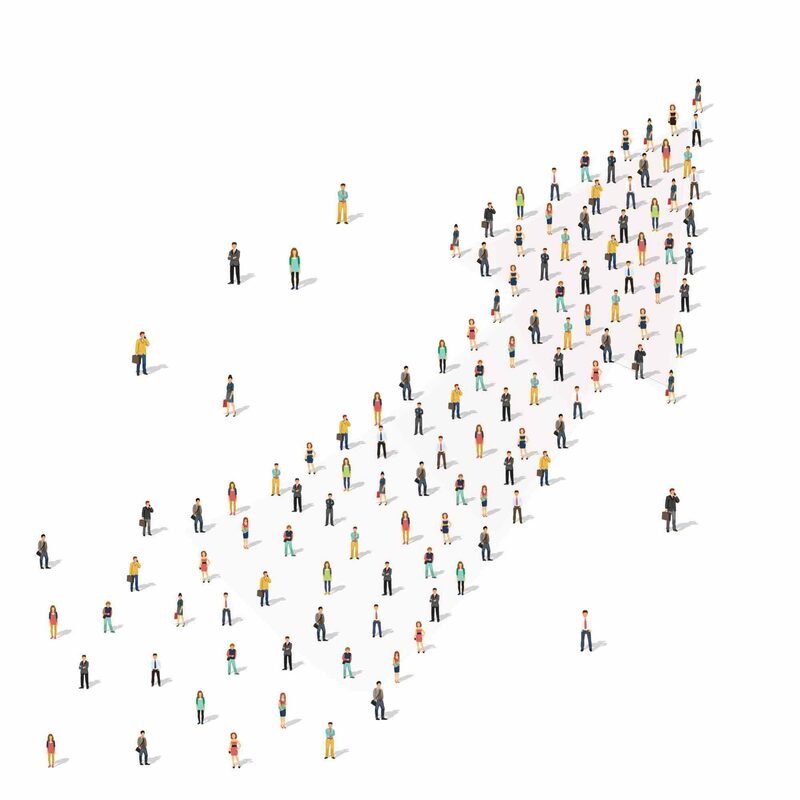 Social influencers have emerged as important players in this space- they come with their dedicated follower base, and if they endorse your brand, your brand gains a much wider audience. BrandLoom can not only help you figure out which social influencer to choose, but also design a campaign that ensures that you get your desired levels of engagement with the influencer. We make sure that your brand is positioned in a right way by the influencer, and design campaigns that lead to a win-win position for both. Our social influencer marketing strategies ensure that you get your desired ROI by choosing the right social influencer. Conventional advertisers are still stuck with the concept of an online and offline customer. What we must understand that with mobile phones and the internet, the customer today is almost always online. 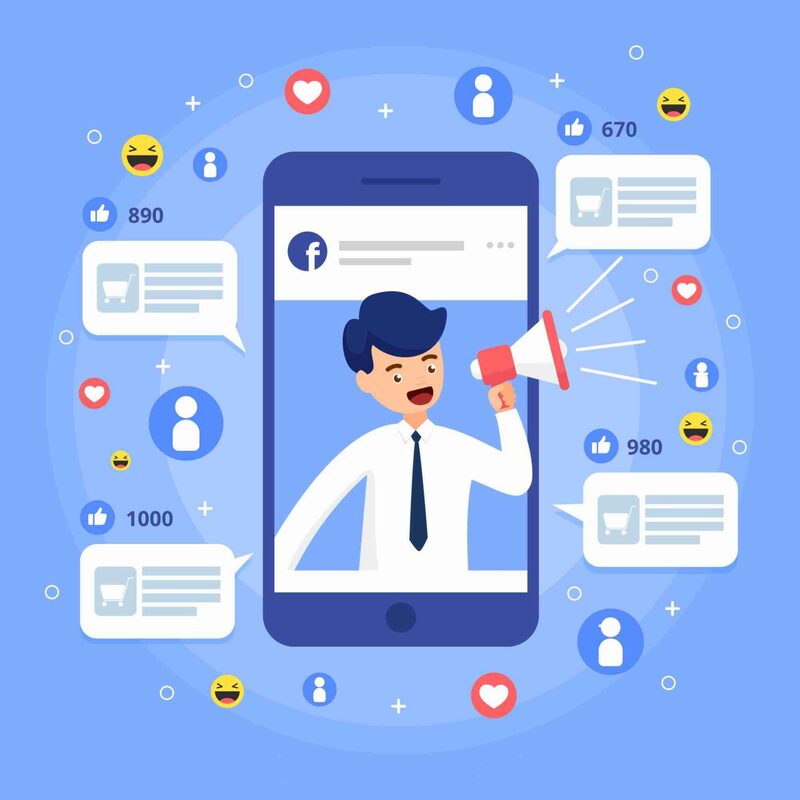 Good social media advertising strategies target audiences on the social network and create ads that are likely to engage that target demographics. Not only is this great for small businesses, but it also gives the customer to shop 24X7 and makes them experience the brand in a seamless fashion. At BrandLoom, we have designed and executed various successful social media advertising campaigns. We go beyond placing Facebook ads- we design ads that are eye-catching, and are appealing to the target demographics. We guide the customers through the entire process, and make sure that the landing pages are attractive and user-friendly. Our methods are ethical and effective, and we pride ourselves on our transparency. See your brand awareness, and social engagement levels increase with BrandLoom. Our social advertising strategies will help you achieve your branding and revenue goals in no time. This is what makes us the best social media advertising agency in India.